"Trust us to move you!" 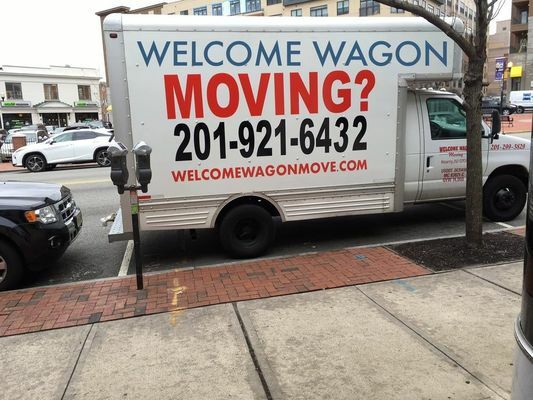 Welcome Wagon Moving is a family owned and operated business. We take pride in being an efficient and easily accessible moving company within New Jersey and the greater New York metropolitan area. We move your stuff as if it was our own, and realize that we're moving much more than just stuff. Welcome Wagon understands that your boxes carry your needs, your efforts, your hard work, your memories and your aspirations. We promise to handle them with care, conduct our business in a professional and accessible manner, be clear about all costs upfront, answer any questions simply and in a straight forward manner, and deliver your things from one point to the next. Our size allows us to adapt quickly to your requests, handle unforeseen issues or take advantage of unexpected opportunities. We are not a faceless corporation, but a moving company of family and friends who want to welcome you to the next stop on your journey, and you hope you will trust us to move you there.